The first full-length trailer for Marvel’s Iron Fist has arrived. 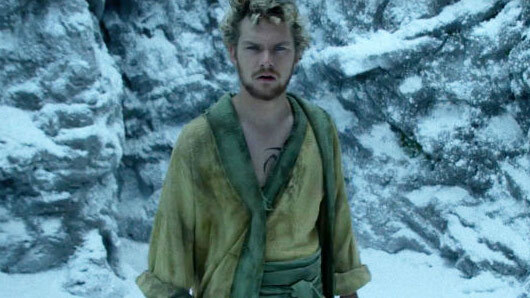 In the new trailer, we meet Danny Rand (Finn Jones), the heir to a billion dollar corporation who has been presumed dead for fifteen years. Of course, there’s quite a lot of doubt about Rand’s identity and where he’s been the last fifteen years (and where he learnt those impressive martial arts skills). What they don’t know is Rand is back for a reason – a new deadly enemy has arisen in New York, and the last of Marvel’s Defenders is here to clean up the city. Marvel’s Iron Fist is the last of four individual series about the members of Marvel superhero group The Defenders. The series will be followed by a joint Marvel’s Defenders series later this year, which will star Charlie Cox as Daredevil, Krysten Ritter as Jessica Jones and Mike Colter as Luke Cage. The quartet, who with the exception of former lovers Jessica Jones and Luke Cage have not yet met, will reportedly join forces when they all begin investigating the same criminal organisation. The joint series will take place a few months after the events of Daredevil season two, which became available on Netflix last March.